Product prices and availability are accurate as of 2019-04-19 10:48:49 BST and are subject to change. Any price and availability information displayed on http://www.amazon.com/ at the time of purchase will apply to the purchase of this product. This is a great book for people completely new to graphic design. The author uses easy to understand explanations that make complex graphic design concepts more accessible to the layperson. It's one of the first books I ever read on the topic and I still refer back to it years later. 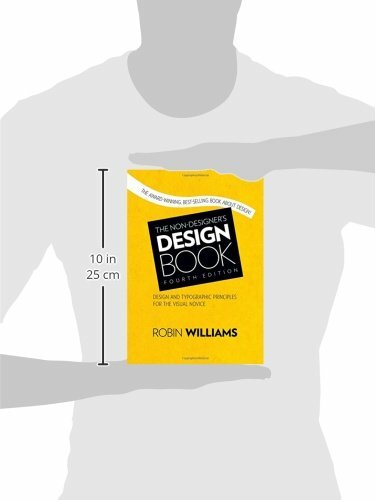 If you can only afford one book on graphic design, this would be an excellent choice. Just one or two of the suggestions in this book can help your book cover and interior design stand out from the competition. For nearly 20 years, designers and non-designers alike have been introduced to the fundamental principles of great design by author Robin Williams. 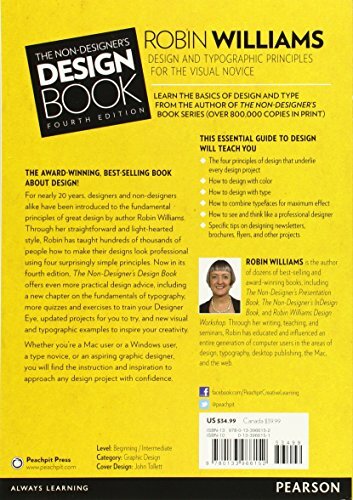 Through her straightforward and light-hearted style, Robin has taught hundreds of thousands of people how to make their designs look professional using four surprisingly simple principles. 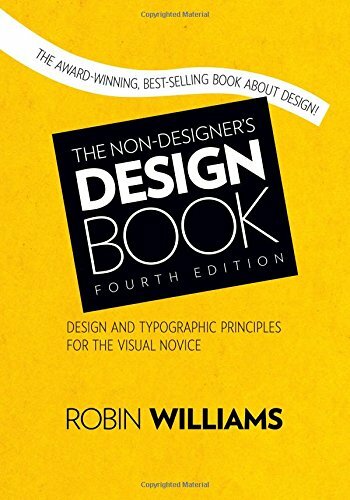 Now in its fourth edition, The Non-Designer's Design Book offers even more practical design advice, including a new chapter on the fundamentals of typography, more quizzes and exercises to train your Designer Eye, updated projects for you to try, and new visual and typographic examples to inspire your creativity.